PwnageTool has been updated by msft.guy to jailbreak iPhone 3GS on iOS 4.2(Old bootrom only). PwnageTool does hacktivation but is currently incompatible with Cydia. You’ll have to use OpenSSH to manually install Cydia applications. You need to have an iPhone 3GS with old bootrom, jailbroken atleast once using either redsn0w, PwnageTool, Blackra1n or Sn0wbreeze. It won’t work if you’ve used Spirit or JailbreakMe.com. Download iPhone 3GS 4.2 bundle here and extract it on your desktop. Download iOS 4.2 for iPhone 3GS. If you are an official developer, then you can download it via Apple. Else google it. Right click on the PwnageTool file downloaded in step 1 and click “Show Package Contents”. Navigate to Contents/Resources/FirmwareBundles/ and paste iPhone2,1_4.2_8C5091e.bundle file in this location. Close the folder now. Now start your PwnageTool and browse for iOS 4.2 ipsw file. Click on “No” when PwnageTool asks you “Do you have an iPhone contract that would activate normally through iTunes”? 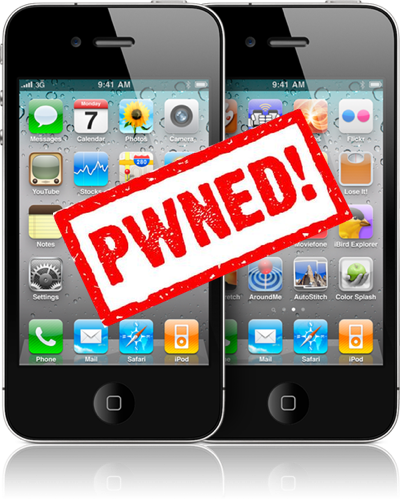 PwnageTool will now create a custom ipsw file for your iPhone 3GS. Restore this custom ipsw on your iPhone 3GS by pressing shift/option key and click Restore. Give the path to custom ipsw created by PwnageTool. Now sit back and relax. iTunes will restore your iPhone to 4.2. It may take some time. Spread the word…. The 3gs rocks! I managed to jailbreak my iPod Touch 2nd Gen into an iOS 4! Haha! Forgot how I did it but it was a little accomplishment since few only know that 2nd gen iPod Touch can have an iOS 4.